As much as I hate to say it, I am a creature of habit. I like routine. I like normalcy. I like order. As a school principal, I deal with chaos on a daily basis, so I like to settle into my routine when I get home. Right now, you may be picturing Mr. Banks from Mary Poppins singing "The Life I Lead." It's not quite that extreme, and I never get a pipe and glass of sherry at exactly 6:02. But someday maybe...someday. Because I like routine, as I plant my summer garden, it is almost always the same thing. Some variety of cherry tomatoes (last year I went nuts and planted black cherry tomatoes, which were AMAZING), watermelons, strawberries, and some sort of pepper that almost never survives the Arizona summer. My heart wants me to expand what I plant in my garden, but my brain tells me that I have had success with the tomatoes and mild success with the others, so I should keep on that track. So I think my wife thought I was having a midlife crisis two years ago when I came home from Harper's Nursery with two artichoke plants. I knew nothing about how artichokes grew, but I spontaneously bought them and planted them in two areas of my yard. For those of you unacquainted with artichoke plants, they grow a little like broccoli. Out of the center of the plant one larger artichoke will grow, with several smaller ones growing around that one. 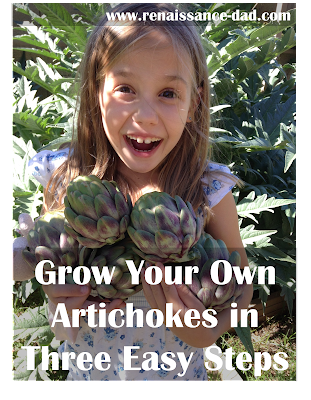 Unlike broccoli or other vegetables, artichokes will grow year after year. In fact, one of my artichoke plants has sprouted several smaller plants that are growing in the fringes of my yard, so I carefully mow around those in hopes of gleaning some more artichokes. But let me tell you about The Beast. This is the artichoke plant that I put in the ground in a wasted corner of my yard. It was rocky, sandy, and the area has seen the death of two trees. The only reason I put the artichoke there is because I didn't know where else to put it. In its first year, The Beast provided us with three decent sized artichokes, and a couple of smaller ones. This year, The Beast has continued to grow. It now stands over six feet tall, has a girth of at least six feet, and has so far provided us with one enormous artichoke (think of a 12-inch softball, and then make it bigger), and 11 normal store-size artichokes. But you're probably asking yourself if they are any good. Surely artichokes that big are dried out, fibrous, disgusting balls of compost waiting to happen. Not true, my friend. It turns out that these home grown artichokes are so much better than the store bought varieties. 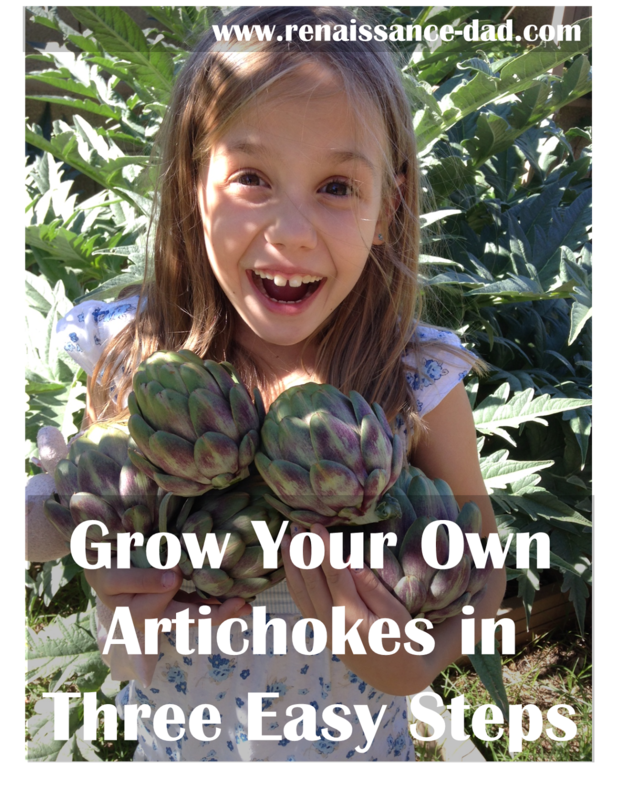 My kids ravenously eat them, there are never artichoke leftovers, and we can't wait for the next crop after going through all of our artichokes for the year. Looking back, I really never felt like I had a moment where I thought, "Gee, I feel like my garden is just missing artichokes. I really should plant some." But I am really glad that I had that moment of gardening spontaneity. It has really added to the vegetable variety that we have in the summer, we eat a lot more artichokes now, and I feel quite successful although I do almost nothing to encourage the growth of the plants. 3 Wait, and then eat artichokes. I am really struggling with the knowledge of the high probability that at some point in my kids' lives each one of them will probably date a loser. That may sound too harsh, but I have really high expectations for my kids, and I know that at some point one of them will show up for a date with somebody that I won't be able to stand. My oldest is just 7 years old, so hopefully I will have at least a decade before I need to worry about this, but I am already preparing myself for this experience. From what I can tell, there are only a handful of possible solutions to this. I can either just accept the fact that this is inevitable and there is nothing that I can do about it. I can swing the pendulum to the other side and be the kind of dad who cleans weapons at the table when a date comes over (I'm not ruling that out). Or I can begin my preemptive strike now and help guide my kids to the point where they will look for people who will treat them with respect and recognize a good boyfriend or girlfriend before I have to give any input. Can you tell what my plan is? Before I move on, please remember that my oldest is only 7 years old. I have no way of knowing if what I am planning on doing will work or not. I'm also not arrogantly saying that my method of helping my kids avoid dating losers is the only way. I'm just getting my thoughts written down. For the entire world to see. So, world, here is my master plan. I am going to attempt to regularly date my children. I have blogged about dating my kids before, but I want to write about it again for two reasons. One, I really think that this is an important part of parenthood that often gets missed. 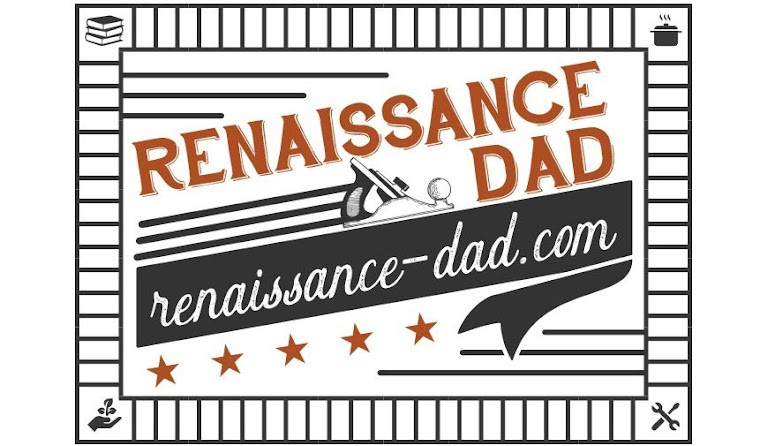 It's something that I sometimes forget to think about until one of my kids looks me in the eyes and says, "Daddy, when can we go on a date again?" My dad regularly spent one-on-one time with me, usually walking either to the mall or to someplace with great happy hour food specials so we could watch football. This one-on-one time helped me get to know my dad and my dad to get to know me. More importantly, this quality time helped me to become a better husband and a better father. The second reason that I'm blogging about this is because I'm not that great at it. 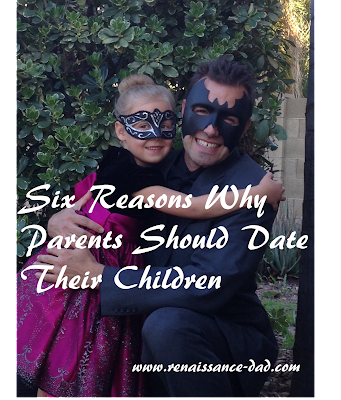 By sending it out to the world, I'm reminding myself of the importance of dating my kids. I also have to spend time with them to get pictures to put into the article. And by "have to" I mean "get to." So here are some of the things that I have learned about what a date with one of my kids should look like. 1. It doesn't have to be fancy, but it should be fancy. I don't need to spend a lot of money to take my kids out. In fact, one of their favorite things to do is to go to an ice cream parlor for a milk shake or a sundae. This usually costs $5 or less. But it is fancy in that I dress up for them. I let my daughters pick out my clothes. I wear a tie, and sometimes a sport coat. Am I out of place in a '50s diner wearing a sport coat? Kind of. But I want my kids to know that I value our time together enough to dress up for them. My hope is that this will translate into my kids seeing that they are worth dressing up for, so anybody they date better do the same. 2. I ask my kids what they want to do. This is a difficult one for me. Sometimes I have something in mind, and I bring the kids along. While I really enjoy doing this, and they usually do as well, I want a date to be something that we decide on together. I may give them a couple of choices, but I want them to help decide. Last week my three-year-old and I were going to spend some time together. I asked him what he wanted to do. He said he wanted to ride bikes to the frozen yogurt place. That was not my first choice, or second choice. But it was important to him, so it became important to me. Hopefully this will translate to my kids seeing that a healthy relationship is one in which both parties get a say. She set out her dress a month before. 3. I model the behaviors that I want bestowed upon my kids. I open doors, I say "please" and "thank you", and I smile. I know that a lot of this seems like a given, but when I see young people out on dates, I don't always see these behaviors. I want my kids to expect these things when they begin dating, sometime in their mid 30's. 4. I tip big. I want my kids to have a respect for everybody that they encounter. I waited tables in college, so I know how hard servers work. And whether it is a big tip, a kind word, a thank you, or all three, I want my kids to come to expect this kind of behavior in a restaurant. 5. I ask my kids a lot of questions. I don't want our dates to be just me talking about me. I want to get to know them, and I want to teach them the importance of asking questions of the other person. Sometimes the questions are serious, like "What do you want to be when you grow up?" Sometimes they are silly, like, "What super power do you wish you could have?" or "If you could have any animal for a pet, what would you want?" We laugh a lot during the silly questions. 6. I date my kids because I love them. It is a great break from the chaos of life to spend some time with each of my kids. I enjoy just being with them, being in their company. Parents, let's all challenge ourselves to take our kids out on a date. Let's spend time really getting to know who our kids are.